What an incredible time we had with you at the Quilliam Society yesterday. 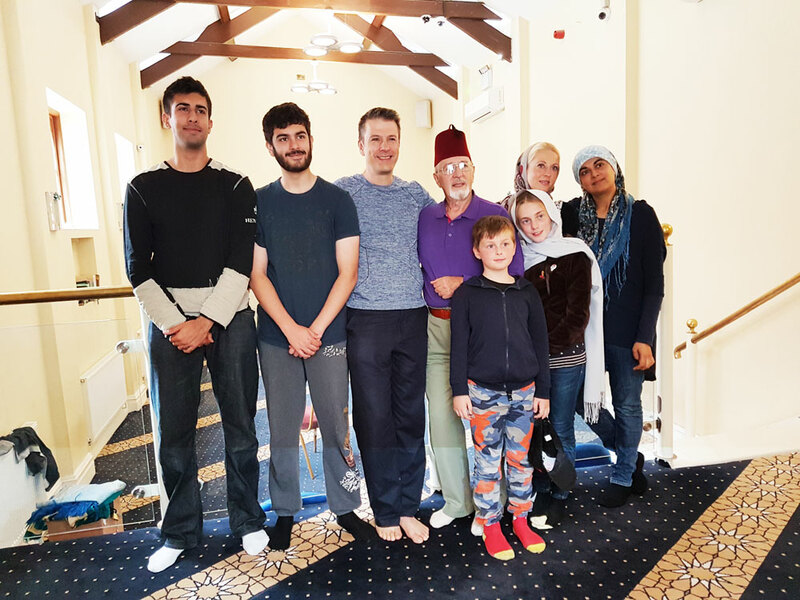 My father, Brian Longden and my brother Steven Longden, his wife Rozina Chaudry and all of our children (Eesaa Robert Reschid, Yaaseen, Ruby and Gregory) want to thank you so much for your wonderful, generous hospitality at our visit to the mosque. We were astonished at your kindness to us and your interest in the story of Robert Reschid Stanley and of his very close friendship with Abdullah Quilliam and of his role in conveying the true message of Islam in Victorian society. You made us feel so proud to be 4th, 5th and 6th generation descendents of Robert Reschid. We were all in awe of what you have achieved – my own work background is history, heritage, community and interfaith work – and even without my own family-history bias, I have to say that never before in the UK, have I ever seen an initiative with such commitment and such passion that wishes to preserve and restore the fabric of a Victorian, historical building – with such enormous capital associated costs – but which also, is already proving its mettle in terms of community and interfaith outreach. Suffice to say, that we – as Robert Reschid’s family – will do all that we can to share our links – whether work, faith, or friendships with you. We value your work and efforts for Brother Quilliam and his great friend and supporter, our Robert Reschid Stanley so very much. Thank you once more – and apoogies from my mother and husband who could not attend. There was much to talk about in terms of work in common, links and funding ideas. I have been discussing them with my husband (Ian Agnew) and we will get a list together of ideas/avenues that you may wish to explore for funding help. All good wishes – and huge thanks for the books and flowers!